I recently came across Food Huggers and am in love. 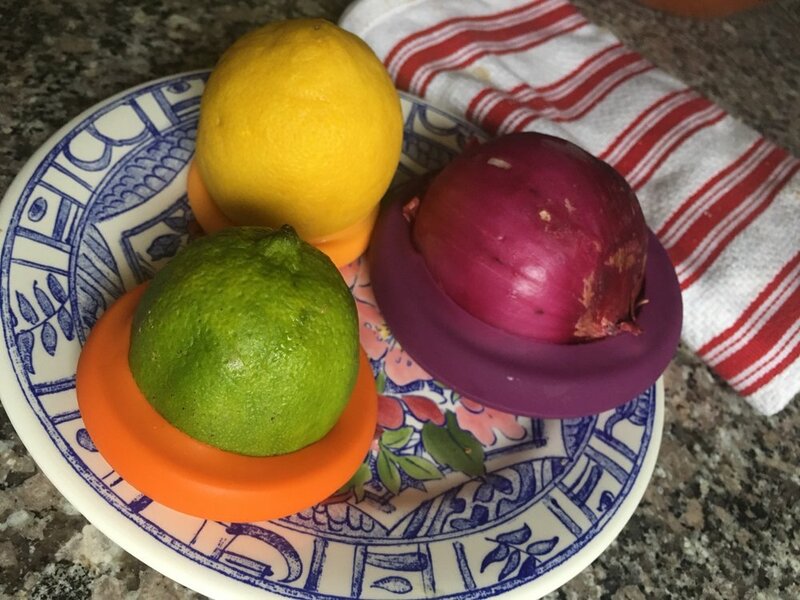 These BPA-free, silicone, dishwasher safe food handling devices are functional and cute. The package comes with five assorted "huggers" in bright colors with various sizes. They are perfect for saving that juicy tomato, lemon half, or even banana. You can also use them for sealing jars. Just place item in the "hugger" and make sure the little sleeves protect the edges, and you're all set. This is my new favorite kitchen tool!